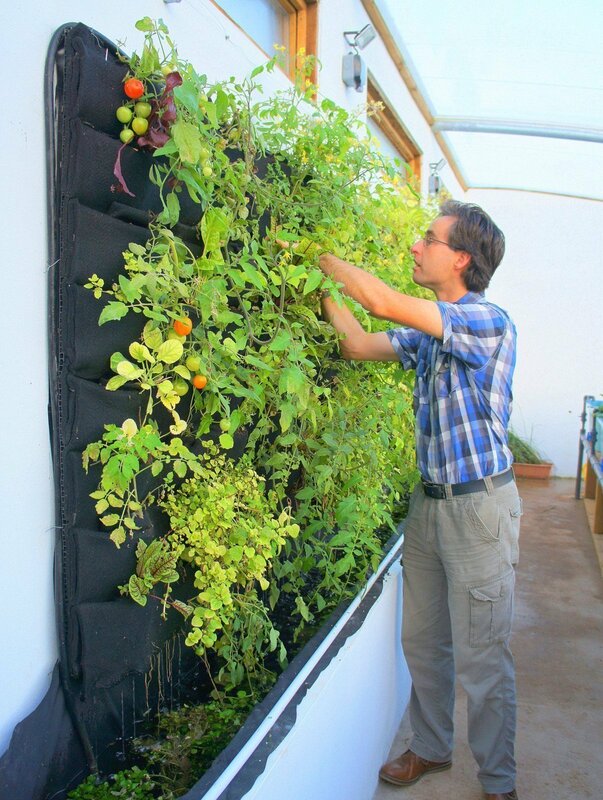 Florafelt Vertical Garden Aquaponics by Kate Humble, Humble by Nature UK. Florafelt Wall Planters are employed to grow a variety of vegetables at a sustainable future farming concept greenhouse. 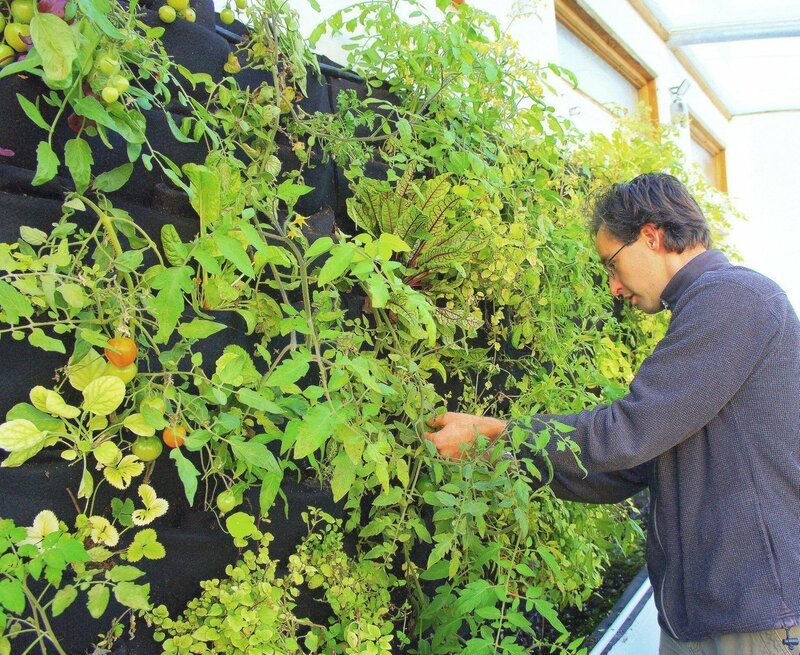 The entire vertical garden system was supplied by Eden Green Walls for the Humble By Nature’s Solar Aquaponic Greenhouse in Wye Valley, UK. Aquaponics by Kate Humble, Humble by Nature UK. 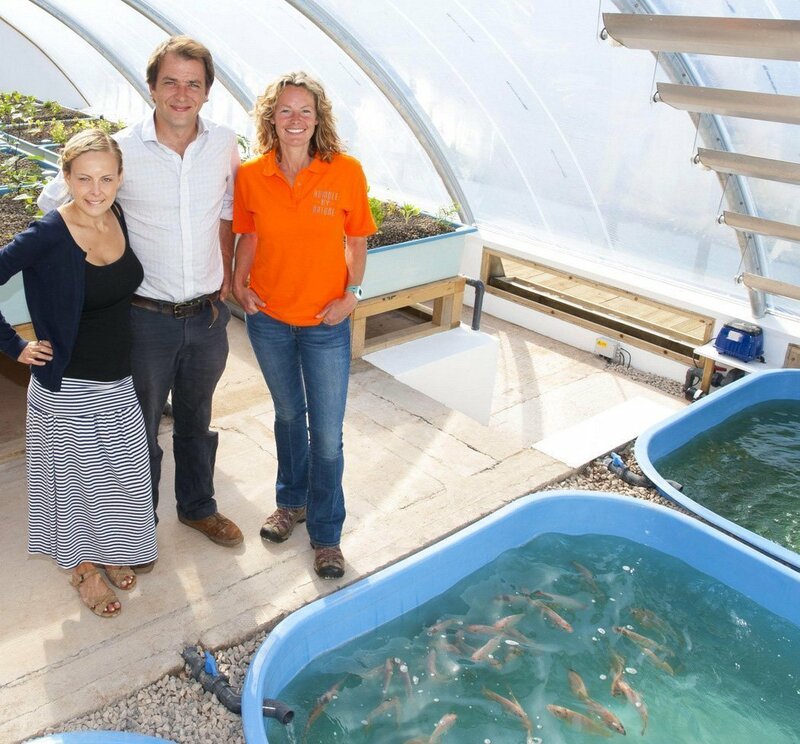 Led by Kate Humble, Aquaponics UK are providing technical expertise to explore sustainable food growing techniques using aquaculture, farming fish, and hydroponics with few inputs and many, high value outputs. The goal is to recycle the nutrient rich water into soil-less vegetable production filtering the water in the process so it can be constantly reused. 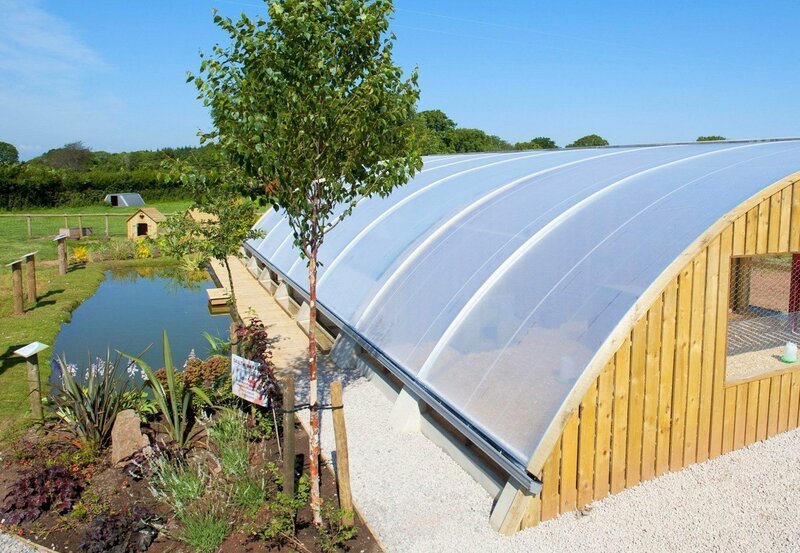 Aquaponics Greenhouse by Kate Humble, Humble by Nature, UK. This passive solar greenhouse is designed to house a productive, edible ecosystem which is also combined with a variety of other complementary farming techniques such as producing fish and poultry food from insects, growing mushrooms from used coffee grounds and growing poultry, fed from by-products of the system.